A vibrant country located on the West Coast of Africa, Ghana has something for everyone who visits its friendly shores. Projects Abroad’s top volunteer destination for five years running, Ghana’s attractions include tropical beaches, vibrant market places and wildlife sanctuaries to name but a few. We have placements in Accra, the Akuapem Hills and Cape Coast. 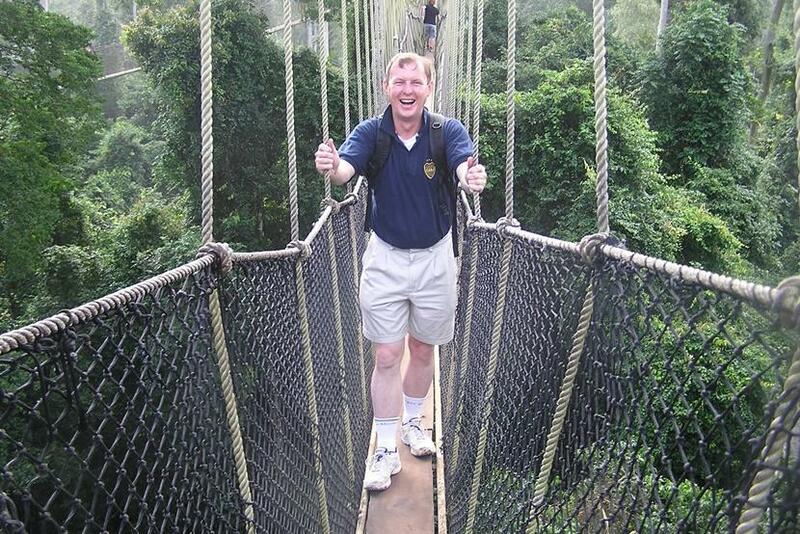 Many of our staff have spent time travelling around and exploring all Ghana has to offer. In this post we discuss their suggestions of the top things to do in Ghana. Located in the south of Ghana, not far from Cape Coast, Kakum National Park is made up of tropical rainforest making it a great location for the walkway which stretches for 330 metres across the canopy. The hanging bridge is 40 metres off the ground and offers the perfect vantage point for visitors who wish to get a view of the animals and plants not visible from below. 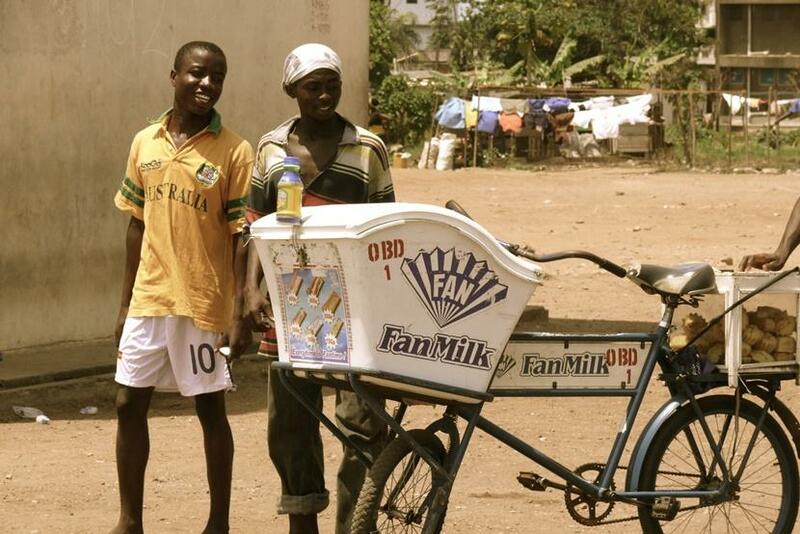 Projects Abroad UK Marketing Director, Suzi Lamb, first worked for Projects Abroad in Ghana and highly recommends adding this to your list of things to do while you’re there. 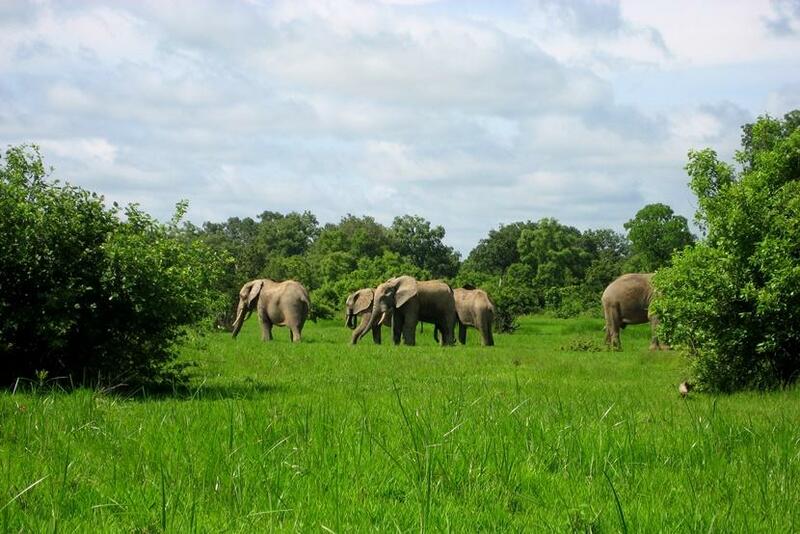 Mole National Park is the oldest, largest and most developed national park in Ghana and is a great place for elephant spotting. The park is home to a variety of wildlife including an estimated 500 elephants. During the dry season, between January and April, many animals flock to a pool near the park’s motel to drink and bathe, giving visitors a great view. There are three elephants in particular who can often be seen feeding on the grass in front of the motel. The park is situated in the north of the country making it quite a drive but it’s worth the effort to witness these beautiful creatures in their natural habitat as opposed to tamed for tourism purposes. Operations Manager, Suzy Adams, recalls her time there. 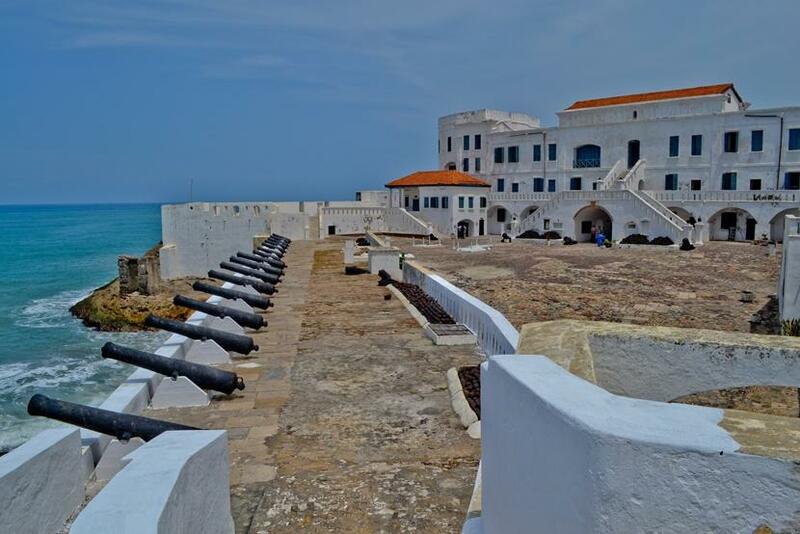 One of Ghana’s most well-known slave forts, Cape Coast Castle has a history dating back to 1653 and was previously occupied by the Portuguese, Swedes, Danes, Dutch and British. The castle grew in size over the years meaning more military defence and a bigger holding capacity for slaves who were to be exported to the new world. The dungeons which used to house the slaves were small and cramped with little to no ventilation and no means of sanitation. Because of these conditions many slaves died here before even boarding the ships. Visitors can take an informative guided tour of the castle and then browse the museum and gift shop. Anne Buglass, our Deputy Director of Operations, had this to say about her experience at Cape Coast Castle. There are also other slave forts to be visited along the Ghanaian coast. Suzy shares her experience of one in the village of Senya Breku. 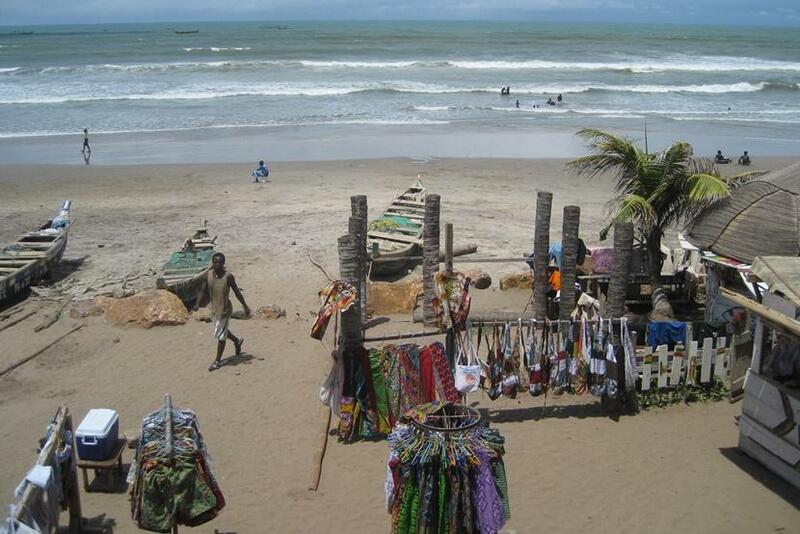 The West African coastline is spectacular and Ghana has a number of beaches worth visiting. Labadie: One of Accra’s most popular beaches, Labadie is great for a variety of beach activities and many people come here to take part in football, volleyball and Frisbee. The beachfront is equipped with showers, changing rooms, restaurants and snack bars. Kokrobite: A party beach of sorts, Kokrobite is a cool little beach town not too far from Accra and is a great destination if you’re keen on bonfires, dancing and drumming. It’s also a favourite among backpackers in the area. Busua: Busua’s rather remote location over five hours’ drive from Accra makes it perfect for a peaceful, quiet and relaxing break. 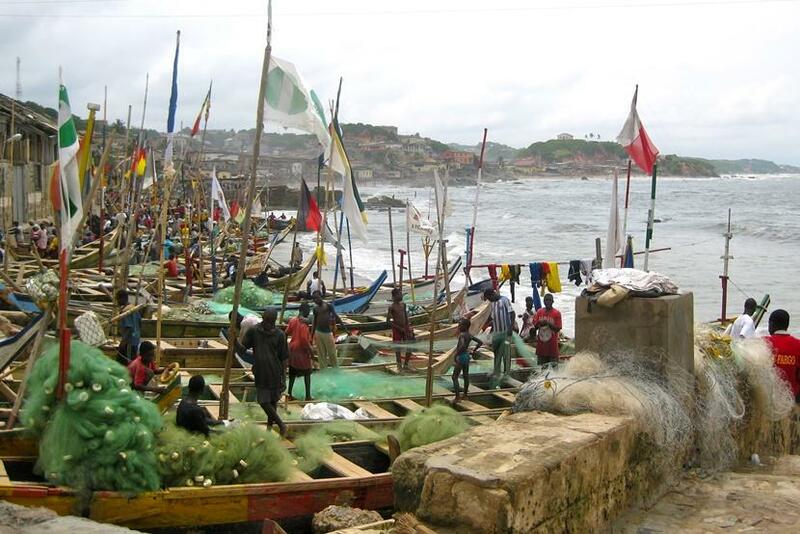 Ada Foah: 100km from Accra, Ada Foah beach can be found at the estuary of the River Volta. This beach is known for its sea birds and rare and endangered turtle populations. Dani Cristea, an Operations Manager at Projects Abroad, lists Ada Foah as one of her favourite beaches. Ghana is a football crazed nation so catching a match or two while you’re there is definitely a must if you’re a sports lover. Whether you’re watching at the modest home grounds of a small local team or kicking back in the seats of a Premier League stadium, the passion Ghanaians have for this sport is undeniable. Programme Advisors David Flaschner and Ian Birbeck have both spent time in Ghana and highly suggest watching a game there. 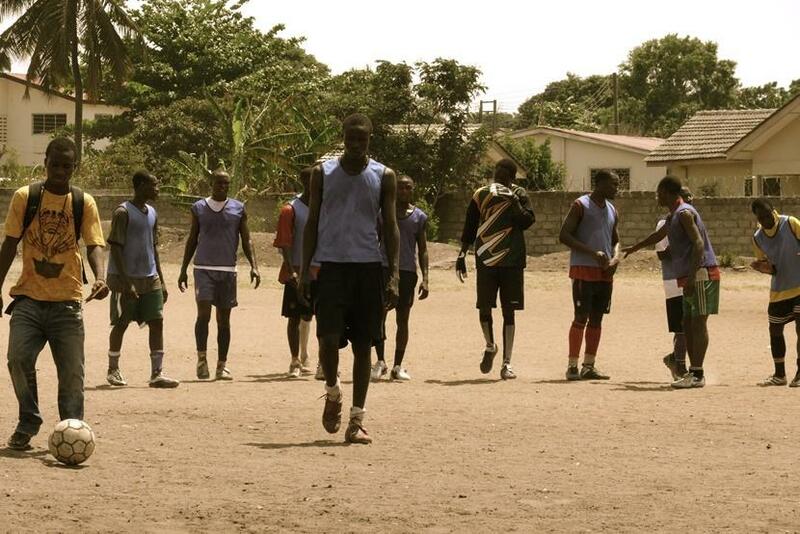 David - “For the majority of the time that I was in Ghana I was coaching football, so I saw a lot of matches! Most of these were lower division games on random pitches dotted around Accra, which had an incredible atmosphere. However, I’d certainly recommend checking out a Premier League match if you have the time. Firstly, Ghana has some excellent facilities because they had to custom-build a number of high quality stadiums in order to host the 2008 Africa Cup of Nations. Ghana isn’t exactly globally renowned for its traditional cuisine but there are a few dishes that you simply must try when travelling in the region. From fufu to red-red, our staff members have sampled their fair share during their time in Ghana. This is what they had to say about what they’ve eaten. David – “The first thing to say about Ghanaian food is that it has an unjustly negative reputation. I think that a lot of this comes from Westerners who try one dish, don’t like it, and then stick to European-style restaurants for the rest of their trip. As with most countries in the developing world, if you take this approach then you end up wasting money and missing out on an incredible array of tasty treats available from street food vendors, or ‘Chop Bars’ as they are known in Ghana. I’ll be honest - I really don’t like fufu, which is arguably Ghana’s national dish. I find the texture off-putting and the taste non-descript. However, I’d pay money to watch people make it! Wherever you go in local towns you can see women stirring a glutinous mix of cassava, plantain, and yam in a small wooden bowl with one hand, while a partner slams a huge wooden pole up and down. This stirring and pounding motion turns disparate ingredients into a springy mixture with the consistency of uncooked pizza dough. It’s then served up with one of a variety of soups and stews and traditionally eaten with your right hand. At 80 metres high, Wli Falls is the highest waterfall in West Africa. It is located in the Agumatsa Wildlife Sanctuary and is a nature lover’s paradise. Visitors who would like to see the upper falls can take an uphill hike to get there. The lower falls are a must for those wanting to swim as there is a plunge pool to relax in. There is also a wide variety of birdlife to be spotted as well as 400 butterfly species and fruit eating bats. 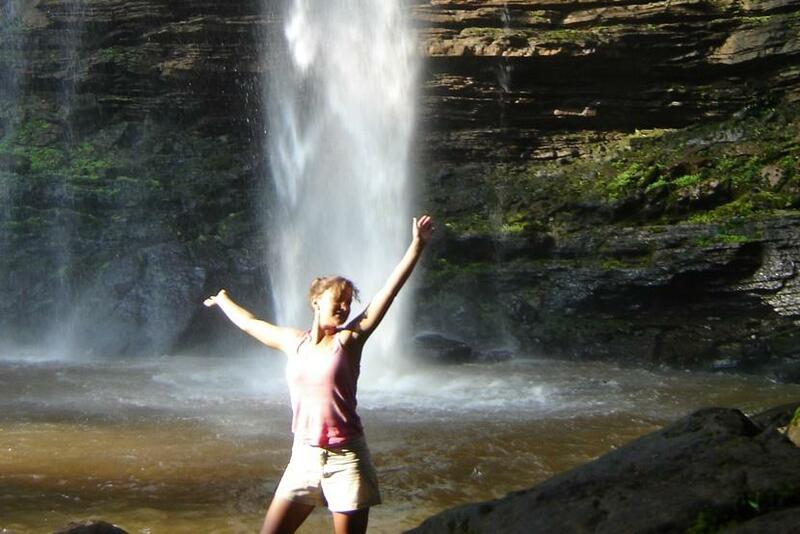 Suzi gave this account of her experience at the falls. 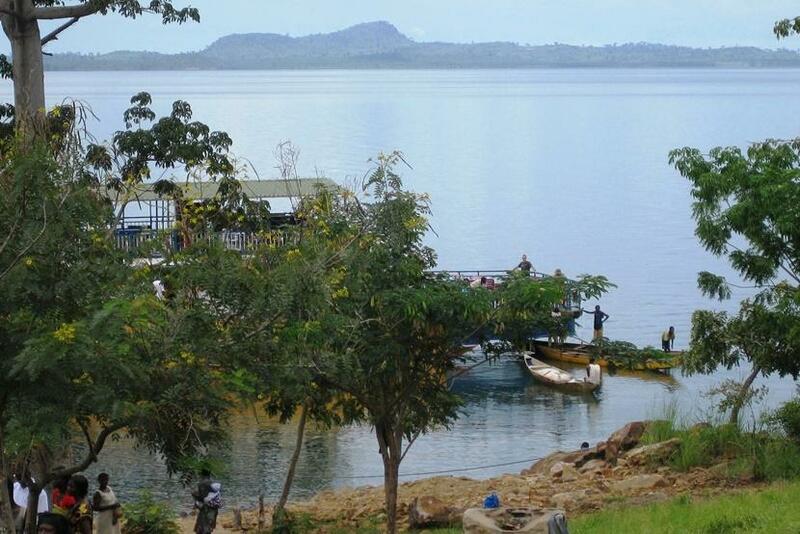 A boat trip around Lake Volta is a popular choice among visitors to the area. The “lake” is in actual fact the world’s fourth largest reservoir and was built as a means to supply the local community with fresh water, electricity and economic opportunities. Lake Volta is located in what is known as the Volta Basin in Eastern Ghana. There are several options in terms of boating on the lake. Anne chose to go with Dodi Princess Cruises. When visiting Ghana it’s almost a given that you’ll find yourself browsing around a market of some sort. The Kejetia Market which is located in the centre of Kumasi, is the largest open air market in West Africa and is made up of over 11,000 stores selling everything from food and clothes to beads and plastic goods. 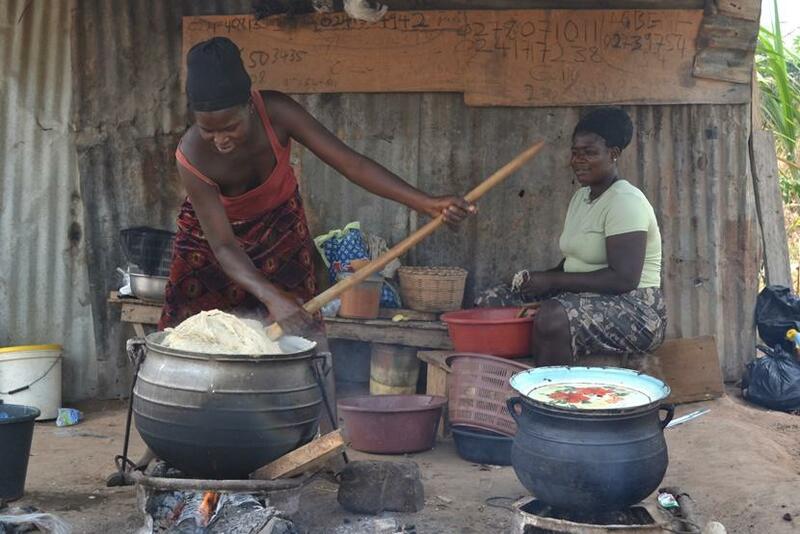 Having spent quite some time in Ghana, Anne knows her way around a Ghanaian market or two. A visit to The Wechiau Community Hippo Sanctuary (WCHS) is a must if you’re into wildlife. The sanctuary is a community driven project that protects and preserves a 40km stretch of the Black Volta River. There are only two remaining hippopotamus populations in Ghana and one of them calls this river home. A visit to the sanctuary gives tourists the chance to view wildlife and learn more about the local culture. Suzy had this to say about her time there. Have you been to Ghana? If you have any other suggestions of places to see and things to do in Ghana tell us about them using the comments box below.